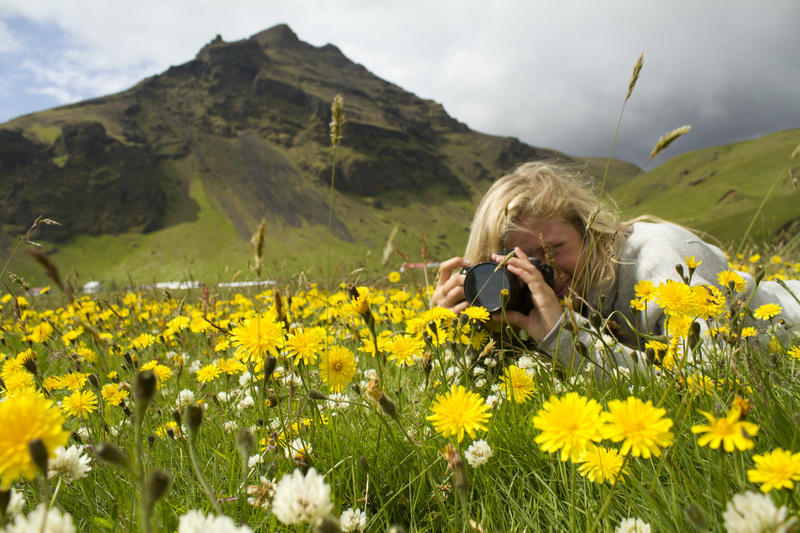 National Geographic Student Expeditions offers opportunities for high school students to get out into the field on summer trips and follow in the footsteps of National Geographic’s photographers, writers and scientists. 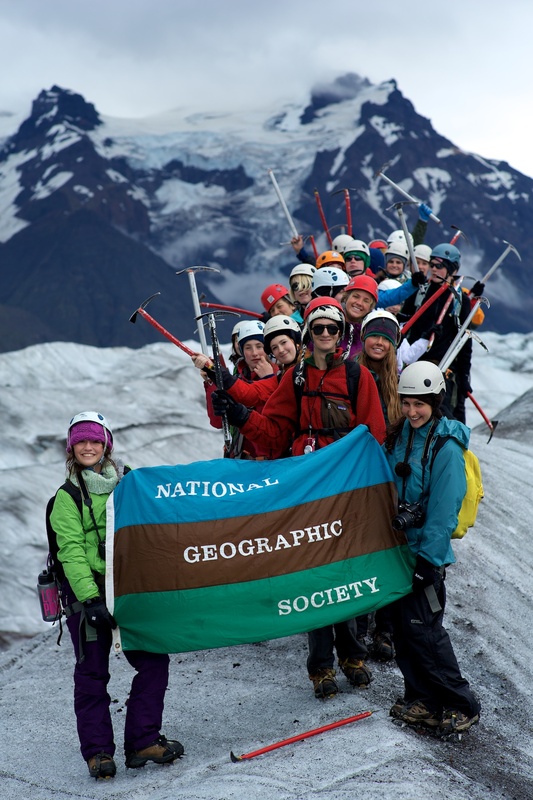 NGSE is currently accepting applications for summer 2014 trips, and they still have space left in many of their programs. On all of the trips, students immerse themselves in the local culture and dig deeper into the places they visit through an On Assignment project of their choice – photography, conservation, writing, archaeology, community service, etc. And a National Geographic expert joins most of the trips to lend an insider’s perspective on the trip destinations. Students choose the destination and project that’s right for them – from Conservation in Action expeditions in Belize, Namibia, and the Pacific Northwest to photography workshops in London, Paris, and San Francisco to community service trips in Costa Rica and Thailand… and much more. If you choose to pursue a Photography On Assignment project during your Student Expedition, you’ll have the opportunity to set out on photo shoots to improve photography skills and capture the color and character of the places you encounter. By the end of the program, you will develop a photo-essay about a topic that sparks your interest. At least one of your Trip Leaders will be a photographer and many of the Student Expeditions have top National Geographic photographers as Experts on the program. Photography experts on programs this year include Chris Rainier (one of the premier photographers specializing in the documentation of indigenous cultures), Cory Richards (The North Face athlete specializing in adventure photography), Susan Seubert (travel photographer who has published more than 20 stories with National Geographic Traveler), and Dave Yoder (photojournalist who photographed the ALMA telescope array in Chile for NGM’s April 2014 issue). If you are between 18 and 25, you can also apply for a Young Explorers Grant to support scientific fieldwork, expeditions, and conservation projects. Through the grant program National Geographic supports new generations of archaeologists, anthropologists, astronomers, conservationists, ecologists, geographers, geologists, marine scientists, adventurers, storytellers, and pioneers. Young Explorers grants help cover field project costs for hard-working, passionate, creative individuals with great ideas. 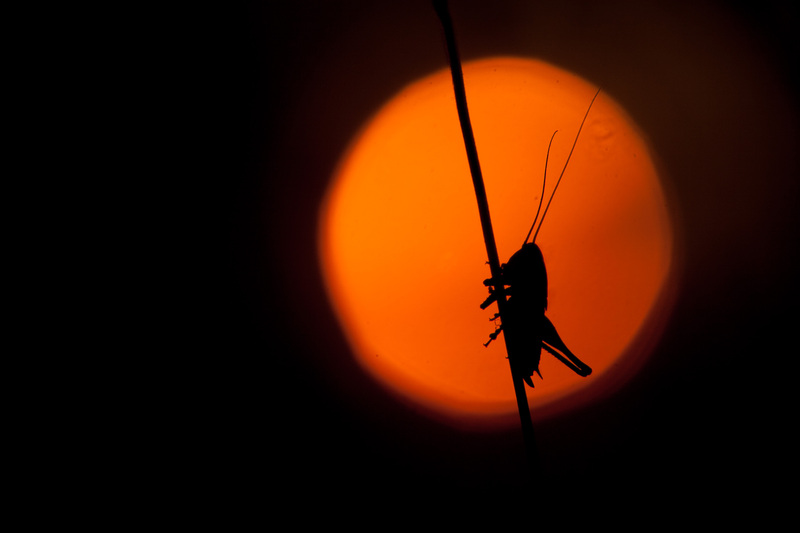 For photography projects, check out the Expeditions Council grants. Have you ever wanted to see an alien? If you do, then I have news for you – you need look no further than your own back porch. These “aliens” come flying out of the night, landing silently, and often unnoticed, on porches all throughout the summer. What are they? Moths. 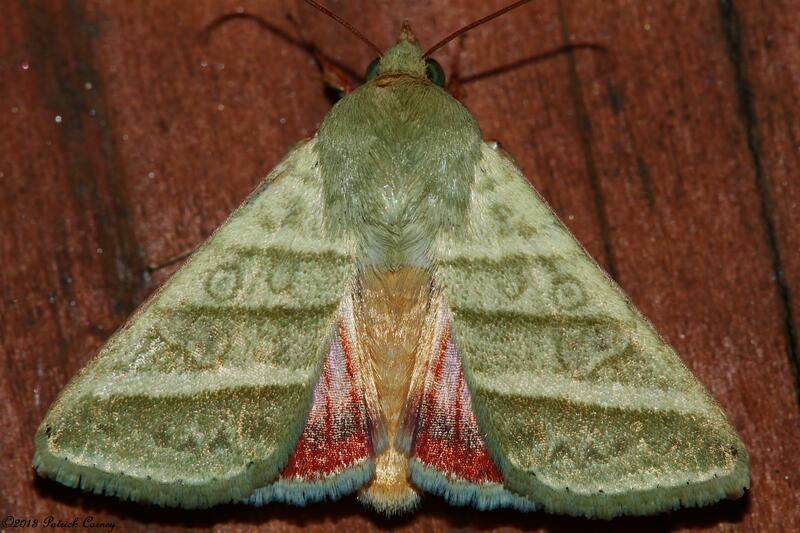 This summer, I became interested in moth-watching, or “mothing” (hence the term, “moth’er”). Most people ignore moths because they are “dull.” This is not necessarily true, but bright wing patterns and colors aren’t what make them look like they came from another world. 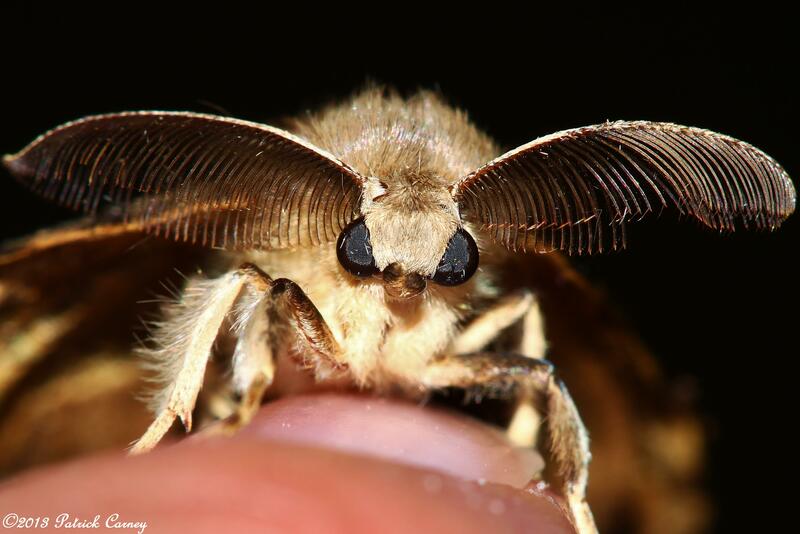 No, it is another feature that is often ignored on butterflies and moths alike: the face. 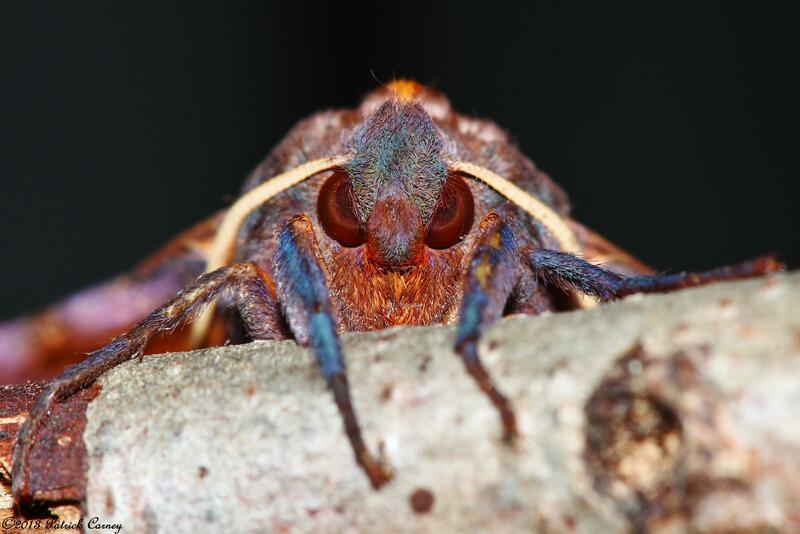 The face of a Locust Underwing Moth. 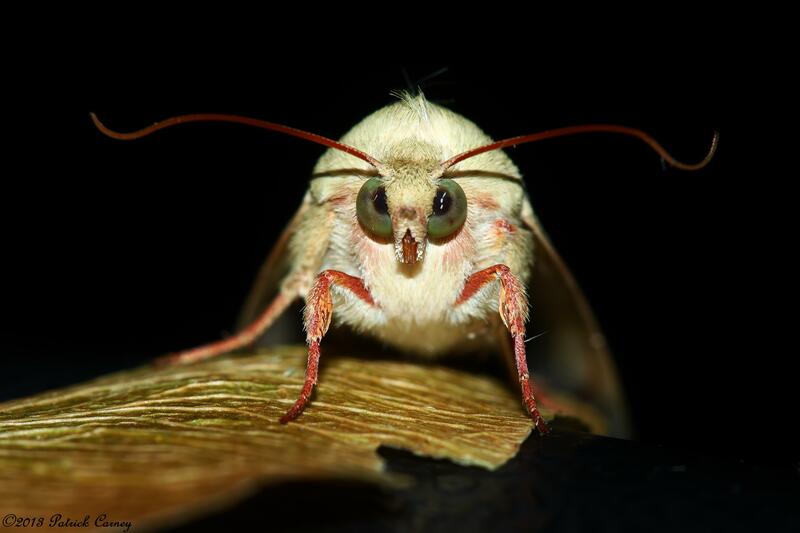 The wide, staring eyes, the “handlebar mustache” growing from its forehead, and the appearance of a “mouth” created by the proboscis make this moth look like it came from another planet instead of a cocoon. 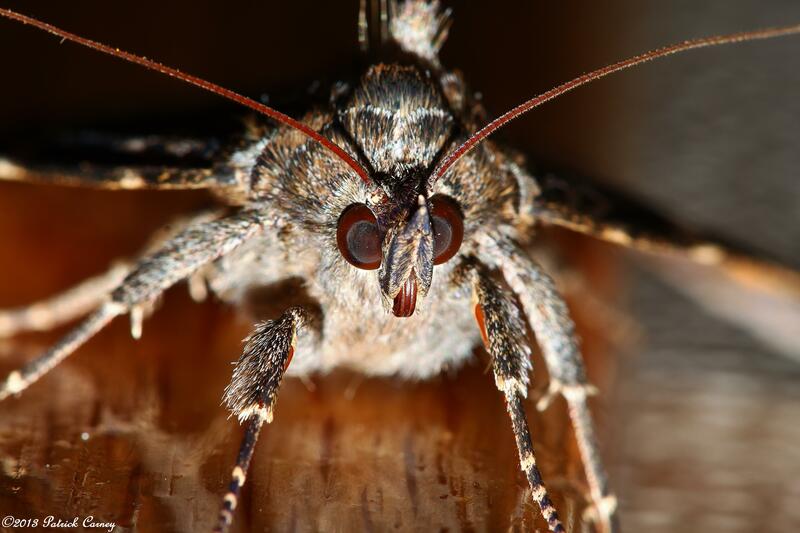 Most people look at these face-shots and do not realize they are looking at a moth. 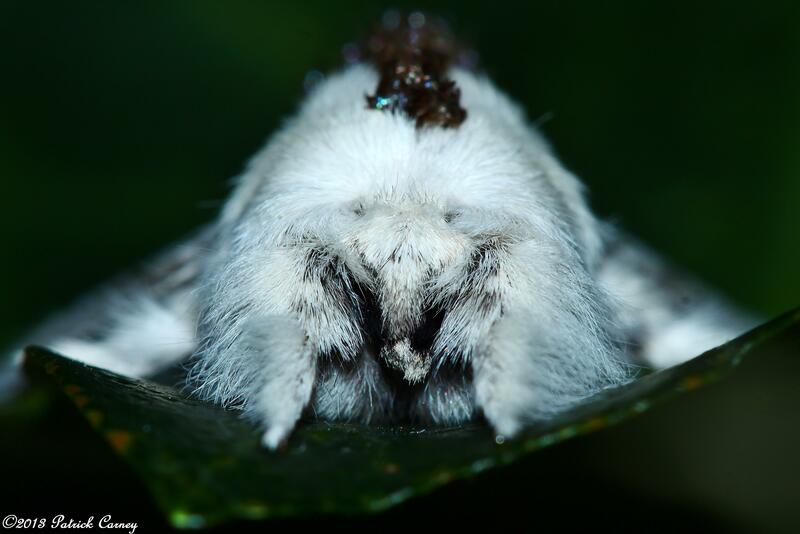 Depending on the gender and species of the moth, its face may sport feathery antennae or rainbow colors. 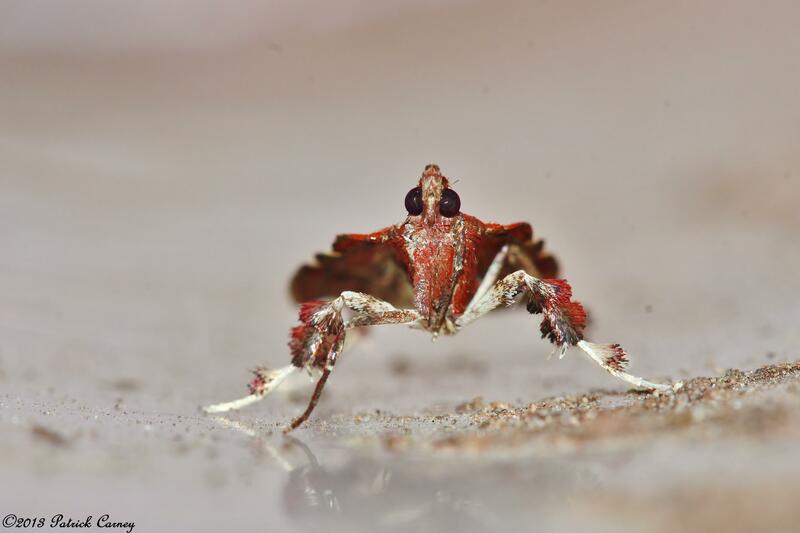 It might have bright red tufts of “hair” on its legs or so much “hair” the face is barely visible at all! Just as the range of colors in butterflies may seem endless, just as endless is the variation of moth faces. Top: Gypsy Moth, Small-Eyed Sphinx. Bottom: Boxwood Leaftier, Large Tolype. No matter what camera gear you’re using and how experienced you are, luck plays a big part in nature photography. There’s no subject for which this is truer than birds. As a bird photographer myself, I was intrigued when I picked up The Handbook of Bird Photography by Markus Varesvuo, Jari Peltomäki, and Bence Máté. The book begins with some very important advice for anyone interested in bird photography – learn about your subjects! Throughout my experience as a bird photographer, I have also learned this to be essential. The book discusses some basics in the beginning such as where to find birds, what birds are in specific habitats, and characteristic bird behaviors. Knowing where to look and what behaviors to look for will allow photographers to get stunning photos. Though the book mainly discusses birds from Finland and other Northeastern European countries, some bird behaviors are universal. A good example is herons; when a heron is bent towards the water, with its neck in the shape of an S, and it is slowly leaning forward there will come a moment when the bird freezes. That means it’s about to make a go for a fish, whether you’re in Finland or the United States. 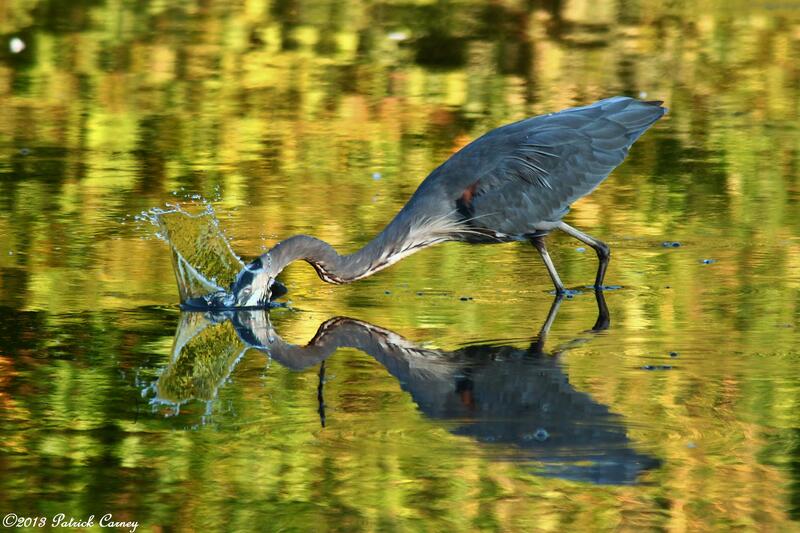 Knowing about this behavior in herons makes it much easier to get action photos like this one. Some birds are harder to get to know than others because they are only around in certain seasons or weather. To many bird photographers, heavy rain, thick snow, or even a severe thunderstorm means no bird photography. However, there are separate sections in the book devoted to photography in the different seasons and in different kinds of weather. For example, snow can add to a bird photograph. We’ve all seen a photo of a bird sitting in a bush in winter, with snow and plump red berries on the branches. But what about birds in flight? Something I never really noticed, but which The Handbook of Bird Photography so nicely points out, is that snow really reflects light well, and that greatly enhances images of flying birds, because the reflecting light illuminates the bird’s underside. Cold weather provides other possible photo enhancements other than even lighting. Human breath steams in cold weather, and so does the breath of birds. This is an interesting way to use backlighting, which is normally not desired in bird photography. Get in position where the bird will be backlit, and preferably against a dark background, and the birds steaming breath should be spectacularly illuminated by the backlighting, and visible against the dark background. Clearly, a lot of weather that bird photographers usually see as a hindrance can offer amazing and unique photo ops! 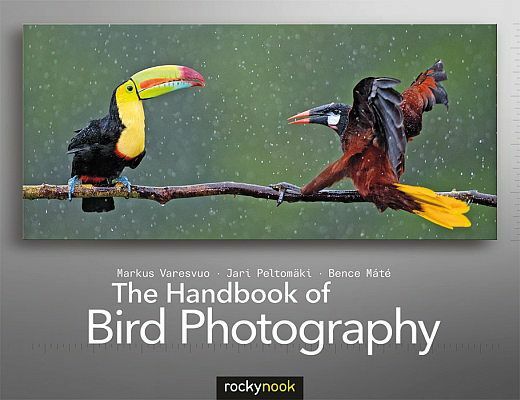 The Handbook of Bird Photography by Markus Varesvuo, Jari Peltomäki, and Bence Máté was a very useful, helpful book to read, full of good photography tips and stunning photos, and I would recommend it for bird photographers of any experience. The North American Nature Photography Association (NANPA) is currently accepting nominations and applications for their fourteenth annual High School Student Scholarship Program. Ten high school students will be offered a rare, once-in-a-lifetime opportunity to attend the Eighteenth Annual NANPA Summit in Jacksonville, Florida, Feb. 24 through March 3, 2013 and also participate in field workshops and classroom instruction designed specifically for them. The week-long program, which begins Feb. 24th, includes time in a classroom learning digital photography from industry experts, as well as several field trips with personalized photographic instruction from some of the world’s most renowned nature photographers and publishing professionals. Eligible students must be 14 years old by June 1, 2012, but not yet 19 as of January 1, 2013. The scholarship covers all lodging, meals, and the Summit registration fee. Transportation to and from Jacksonville will be the responsibility of each student and his or her family. I have been asked by a couple of people now about how these are done. They are very simple really. All you need is a subject that is willing to pose for a minute. I would advise manual focus because the auto-focus screws up when you point the lens into the sun. Pre focus onto the subject and then line the subject so it lies in the sun. Then take the photo. I would advise low ISO settings because the sun is bright and you want the widest aperture you can without over exposing the subject. A few warnings though. The sun is, of course, bright etc so close your eyes when you take the shot. Do this technique at dawn/dusk when the sun is at its weakest so you do not burn your sensor (Though this has never happened to me and if you do it at dawn/dusk then this is unlikely). I find these types of shots much more interesting than regular portrait macros. I have nothing against these though. Here is an example, if you do try this tell me how you get on! Thanks for reading. Sorry for lack of posts lately, have been busy with uni exams, which thankfully are over! I decided to head straight up to Bempton Cliffs in Yorkshire, for some seabird photography. I had grand plans for my week long trip, however due to unforeseen geology and various other contributing factors, my cliffcam rig remained in the bag. It will be used tho, I am already scouting new locations for it to be used. The area around Bempton, and where I was staying at Flamborough Head, is a very rich wildlife area with 5 Barn Owl pairs nesting on the headland. I had high hopes! Although I saw over 10 owls in 5 days, no shots made the cut unfortunately. The RSBP reserve at Bempton is definitely worth a visit during the summer months if your nearby. 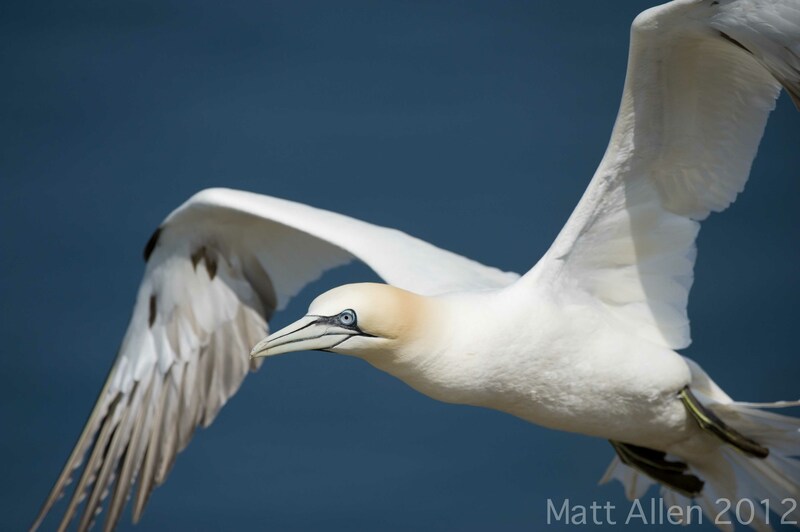 From just 25 breeding Gannet pairs about 20 years ago, to the site now being the largest mainland breeding colony in England- a testament to the hard work done, a real success story! The reserve is free to enter and is open after the visitor centre closes. The cliffs being 300ft tall pose a problem for a photographer looking to photograph the seabirds. 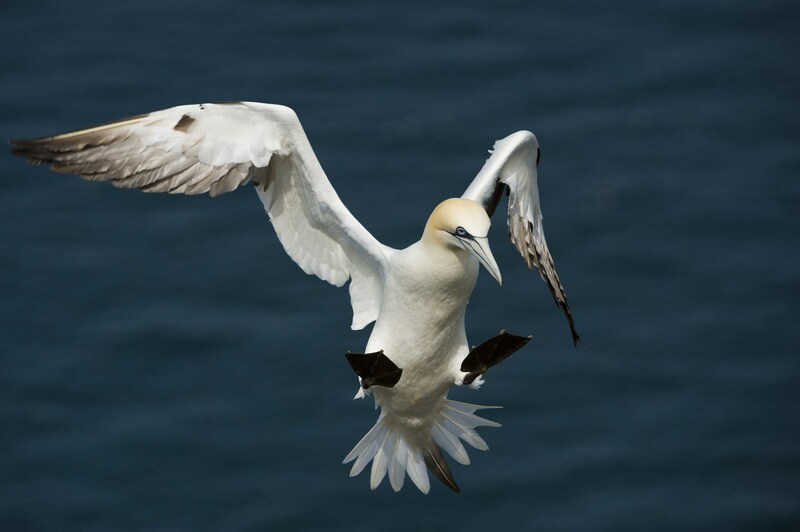 Of the 200,000 birds nesting on the cliffs, only the Gannets come up the the top during flight, pushed up by strong Eastly breezes. At 2 spots on the reserve – staple newk and jubilee corner – they come up to the top to collect nesting material, which provides a good opportunity for shots. The shot above was taken with a 16-35mm lens during a fairly drab sunrise at 4:30. Although wide angle shots produce stunning images of animals you can get close to , Gannets are not one, so taking it out the bag and putting the telephoto away during such a crucial shooting time was daunting. Not sure if the above works? Although not as productive as i would have liked, definitely a trip i will be making again in the future. If your planing to make a trip let me know and i will give you locations of good Short Eared and Barn owl sites. Feedback always appreciated on images. One of the biggest annoyances I find in photography is dealing with camera straps. If you’ve ever been out shooting with two cameras strapped to your shoulders, you know exactly what I’m talking about. Sports, wedding, and even nature photographers are often in situations where having two ready to go cameras is crucial for shoots where changing lenses can result in missing the perfect shot. When photographing weddings, I have always dreaded having to carry two cameras swaying around, putting strain on my shoulders. When shooting wildlife with long lenses, I often find myself not taking the opportunity to take the wide angle out of my backpack to get some record shots. This is simply because I dislike juggling unsecured cameras around my neck and partly due to laziness. Over the past couple of years, I’ve noticed advertisements for the Cotton Carrier in various magazines. I always thought that it looked like a good solution to the problems stated above. This past winter, I finally got around to trying out the Cotton Carrier, and fully approved of it on the first day of use. Andy Cotton of North Vancouver, British Columbia, Canada invented the Cotton Carrier. For years, Andy had been dealing with the problems of camera straps, and being the entrepreneur type of guy that he is, he decided to create a solution. After around three years of developing the camera vest, the company is now at a point where they’re fully content with the design. Essentially, Andy Cotton has succeeded at making a system that allows photographers to carry 1 or 2 readily available and“locked in”cameras that eliminates neck and shoulder strain by placing weight on the person’s mid section. One nice aspect of Cotton Carriers is that they are 70% North American made! Only sewn products are made offshore. The buckles are Nifco brand and the clips are UTX. Hubs and plates are 60/61 hard anodized aluminum. The Lexan receivers are produced with Lexan brand virgin black Lexan. Using materials like these ensures top quality and security for your cameras. The first thing I did with my cotton carrier was attach my Canon EOS 1D Mark IV and Canon 400mm f/5.6 lens to the vest and I went for a run around my block. I could never have done this comfortably with a normal camera strap. With the additional help of the fastener strap, you can use your camera skiing, mountain biking, or even doing back flips on trampolines. Although this may be unrealistic for the average person, it’s just an example of how secure the product is. The vest comes in green or black, and has a mesh back which is nice for hot days. The vest includes a chest mount and detachable hip mount. The chest mount is ideal for lenses in the 70-200mm to 400mm f/5.6 size. The hip mount is ideal for a wide angle/small lens setup. This is because a hip-mounted longer lens like a 400mm f/5.6 lens will brush against your leg a bit when walking. The hip mount can also be detached and attached to the hip straps of a backpack. Cotton Carrier also just came out with an expandable lens bag that attaches on either hip and allows me to comfortably fit a 400mm f/5.6 and 24-105mm f/4 lens inside. The bag also has two interior and one exterior pocket. Overall, with the camera vest you can fit a camera on your chest, another camera on your hip, and the lens bag on your other hip. Videos of these products can be found at www.cottoncarrier.com. One concern I had before trying the Cotton Carrier was if I’d have to remove my tripod head plate. I was relieved to discover that Cotton Carrier makes their own tripod head plate that fits the attachment hub. You can even attach their plate to your L-plate, which allows for full use of horizontal and vertical compositions. I recently returned from shooting the Columbia River Gorge and Olympic National Park and used the Cotton Carrier tripod head plate the entire time without issue. The only negative aspect of the camera vest system is that it isn’t very “fancy” looking for photographing formal events. If you’re shooting an event where looks matter, I’d recommend checking out the Carry-Lite system, or just putting the side holster on your belt. Overall, I’ve been very impressed with the Cotton Carrier camera vest thus far. The vest has allowed me to be more productive and efficient with my photography, and allows for increased maneuverability. If you’re looking for a comfortable and efficient way to carry one or two cameras and some additional gear, I fully recommend checking out the products from Cotton Carrier.